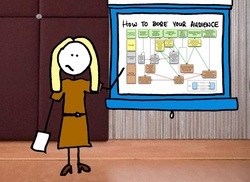 PowerPoint - The Good, Bad, & Ugly. 1. Watch the videos below to learn more about how to use visual aids more effectively in a presentation. 2. Continue to practice & be ready to deliver your 2nd Speech Assignment. (Consult the COURSE RESOURCES tab to see the schedule of speakers for each class.) NOTE: If you have already presented your speech - congratulations!!! 3. Come to next class prepared to fulfill your Toastmaster's role.